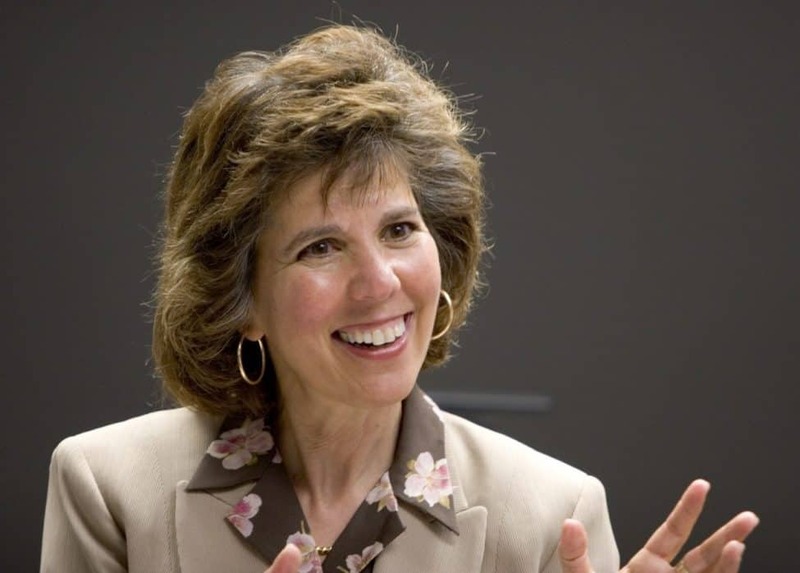 Susan B. Neuman, professor of childhood education and literacy development at the Steinhardt School of Culture, Education, and Human Development at New York University. How is the second iteration of the Every Child Ready to Read (ECRR) initiative being applied and approached in public libraries? What role do library staffers have in modeling and communicating early-literacy best practices to parents and caregivers? 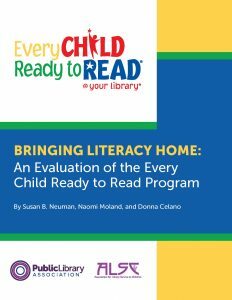 Answers to these questions, among other findings, were released November 17 in a report, Bringing Literacy Home: An Evaluation of the Every Child Ready to Read Program. The report is a joint effort of the Association for Library Service to Children and the Public Library Association, and was compiled by lead researcher Susan B. Neuman, professor of childhood education and literacy development at the Steinhardt School of Culture, Education, and Human Development at New York University, along with coauthors Naomi Moland, professorial lecturer at American University in Washington, D.C., and Donna Celano, assistant professor at La Salle University in Philadelphia. American Libraries spoke to Neuman about the roles and challenges of librarians and caregivers in making sure every child is ready to read. This research on the ECRR initiative in public libraries has been three years in the making. What are some of the key findings? We’re finding that there is a transition among many libraries, moving from just focusing on children and storytimes to a broader view of parent engagement. We see that there are many opportunities for parents to actively engage with children instead of just standing back and watching. There are also what we call “asides” during story-hour activities, where librarians are giving parents tips on how to interact with their child at home, or some developmental strategies so they can better understand the emergence of literacy and what they can do to support it. What was your sample? What did you focus on for this evaluation? The second and third years, we broadened our reach to a total of 60 libraries, some of which had adopted the ECRR initiative, many others which were in contiguous areas nearby but had not officially adopted the initiative. What we were looking for were similarities and differences across those settings. What we found is, in many [ECRR] libraries, spaces have changed. They’re almost like social playgrounds for literacy development. There are play objects that the children can engage with while learning. There are computers so parents can sit side by side with their children and encourage coparticipation around the technology. Parents and children can enjoy educational media and then find a book related to that media. The definition of literacy has broadened to include other media as well, and [the library] has become more of a place where you enjoy time together. Does your research have examples of what libraries or caregivers are doing when there may be barriers to early literacy, such as access, inequality, or English-language issues? It’s always a struggle, but many libraries are reaching out in vital ways. 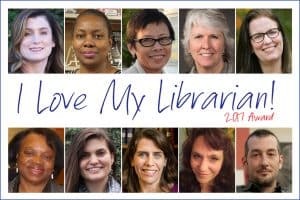 It’s not only what they do in the library, it’s what they do outside the libraries, and the critical connections they’ve made. Take a high-poverty area where people are reluctant to go to a library or go out, period. They feel, “Oh my goodness, I have library fines,” or something like that. Many librarians go to outreach centers and work in communities themselves, to make these [places] much more resource-available. What are some of the early-literacy programs and behaviors that libraries and librarians are modeling besides storytimes? If you go to [an ECRR] library you’re likely to see many, many programs. Some for parents who cannot get their kids into kindergarten, for various reasons. [Programs] for homeschooling or English-language learners. There are so many programs that are connecting children and their families to literacy, it’s incredible. All of those are often organized by one or two people. 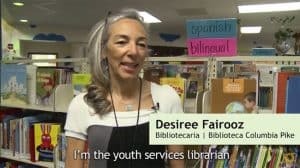 We’re seeing that [libraries are] providing community centers for parents to talk to one another, which is important in high-poverty areas where they often feel isolated. We’re also seeing that many of our libraries are getting involved in state-related activities and early-literacy councils, so they’re becoming critical partners working on early-literacy activities. Public librarians are taking on greater roles as educators and early-childhood specialists. What kind of resources or professional development are they getting to act as these conduits and practitioners? There’s a whole host of professional development models that our libraries are using. Some [staffers] have gone to workshops, where they learn about the different aspects of early-literacy development. Or there’s a train-the-trainer model, where someone trains one person and then they train a bunch of other people. We see a lot of different configurations [that lead to] parent involvement. How do you anticipate libraries and stakeholders using the research and the information in this report? Do you expect it to guide other libraries in their early-literacy initiatives? I imagine that their efforts are only going to grow and develop. I think that one of the things they will need to be careful of is how much they can do with existing resources. They might become stretched in so many areas in the community, which is great, but at what cost eventually? Just to give you an idea, many of [the ECRR libraries] serve lunch and dinner during the summer and at various times. This is all coming out of the librarian’s job. You look at that, in addition to the homework help and all the other stuff that they’re doing in these communities, and you say, “When are people going to realize that we need to put more resources into our libraries if we have such high expectations for them?” The community loves the libraries, but they need more resources to get the job done.